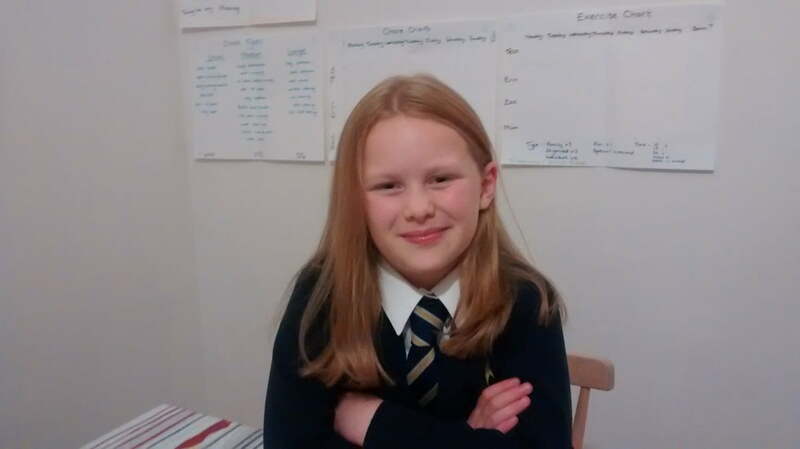 This guest blog is written by nine year old Tess, who has Cystic Fibrosis, about managing her health at school. Last week we talked in this blog about health promoting schools and took a look at the evidence for links between better health and better learning. Tess, and others like her, face even more challenges when it comes to staying well at school. A normal day at school…..
People think I’m a normal, healthy girl when they look at me. That’s wrong. I have Cystic Fibrosis (or CF). It’s a little like having asthma because they’re both to do with your lungs, and with CF you’ve got it for life. On my first day of my new school, like most new kids are, I was scared and worried. You see, I had only just started year 4. 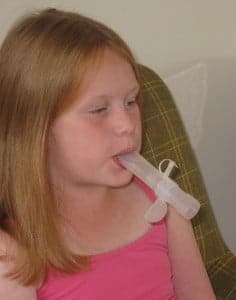 My class didn’t have a clue that in their class was one of the 10,000 people with CF. They only found out that I had it when I did a presentation about it! After that, it was questions, after questions, after question until the teacher hauled me to safety. Since that day, nobody teased or bullied me or my friends. I knew they knew that really, underneath the disease, I was just a normal fun loving child. There are several things I have to do at school to prevent illness. My first is anti-bacterial gel. It’s gloop-doopy stuff that (apparently) kill 99.9% of bacteria. Next, water. Your thinking I might have to do a strange ritual, but no, all I have to do is drink gallons of it!!! Then, the school day goes on and it’s lunch time. Drink another gallon of water and juice from my lunchbox and go outside to play. Me and my friends play EXTREMELY energetic games and this is good for my health. You need to be fit if you have CF! “Each time Tess or Zac (who also has CF) move school or class we go in to meet with the class teacher and other adults involved in their care. We also invite the CF nurse to attend to give the school opportunity to ask questions and feel they have access to support if they are unsure of anything. Really it is just about keeping open communication between us, the school and Tess or Zac so that everyone is happy. Hand hygiene – hands need to be washed after playing outside, touching shoes, seating on the floor, touching soil or animals or similar things. After going to the toilet and before eating anything. If they can be encouraged to use anti-bacterial hand gel as well all the better. Drinking – it is important that they keep well hydrated as they sweat more than other kids and it helps with their bowels. This is always the hardest one to encourage. Avoiding coughs and colds – it is also impossible to avoid catching coughs and colds from other kids as they are taught to share so well. We do ask the teachers to advise us though if there is a child in class with a particularly bad cough or cold then we can decide whether to keep Tess or Zac at home to avoid it. This would depend on how fit they were at the time and how many colds they had had recently. Often we spend all autumn and winter going from one antibiotic to another. Medicine and Physio – there are medications each day that are taken at school administered usually by office staff or a teaching assistant. These are syrups, capsules or mixed into drinks. They also have some physio at school to alleviate pressure on time at home. Hospital time – we see specialists for various parts of their care pretty regularly. There are Physios, Dietcians, Gastro teams, Psycologists and the Specialist nurses and doctors. This can take quite a bit of time away from school, more if they are admitted, but we ask the school for flexibility in school work and work to take home if necessary. While at school some children were really thoughtful and wanted to raise money for my charity (CF Trust). Alright, yes, I started the thoughts, but every fire has to start with a spark! A group of girls went and asked our teacher about it and she was delighted! I phoned the CF Trust and the next day they sent me a package. It was full of banners, balloons, money collectors, stickers, AND 2 different types of leaflets! I brought the package to school and showed Mrs Mason (my teacher). We had to think of the way to raise money as well, so we stuck a piece of paper and pen to the wall outside our classroom and wrote, “Ideas for CF Fundraiser” on top. By the end of 2 weeks he had millions of ideas to choose from. “Cake stall” was an instant winner, but we knew, to raise loads of money we had to have a lot of stalls. Art and crafts, penalty shoot out, agility course and pinata also got a contract. Me, Archie and Erin set up an info stall. All leaflets, remaining balloons and stickers were given a home on our table. If you gave a donation you got a stickers and the little kids got balloons too! When the pinata had broken, the winner couldn’t eat the sweets inside so he sold them to passers by and he raised £5. Now, I want to tell you how much we raised, so, take that £5 and mulity by 100. Give or take a few pence and that is £500, AMAZING and even better, I felt specials. Like all of that was for me. All that money, for people like me. 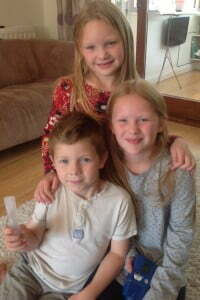 Our thanks go to Tess for her wonderful blog and to her Mum and Dad too. It’s great to hear that Tess does such a lot of exercise and she looks set to continue as she gets older, though she has so many medals and trophies for her sporting successes that I’m not sure where she’ll put any more! A Cochrane review looked at how to encourage people with Cystic Fibrosis to take part in physical activity but there was little evidence to help us know how best to do this. You can read a summary of this review here. There are lots of Cochrane reviews relevant to people with Cystic Fibrosis. Check out the Cochrane Cystic Fibrosis and Genetic Disorders Group website, where you’ll find links to the reviews and more information about their work and how you could get involved. Hi, my names Tess, I'm nine and I go to The Batt CofE Primary school in Witney. I have Cystic Fibrosis (CF) and so does my little brither Zac (6) Erin (my little sister who's 8) is lucky in that respect. Mum and Dad are really encouraging and get me into loads of energetic hobbies. I like these the most: dancing (I don't go to a special dance school), Kickboxing (at Windrush Kickboxing Club), football (in the Witney Vikings football Club). I also like some non-energy hobbies such as: chess (I love my Dad's board), drawing ( I adore Manga), writing ( and don't forget reading too!). hey Tess this is AMAZING!!!!!!! It’s a big thumbs up from me!!!!!! 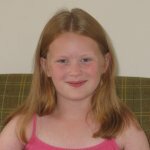 Tess, thank you so much for your fantastic blog. I hope it’s the first of many – although it sounds like you are very busy between energetic (and non-energetic) hobbies, schoolwork, and fundraising! 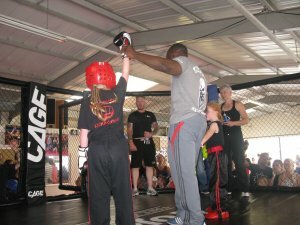 Great blog Tess!! 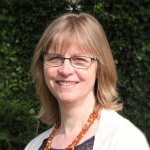 I’m sure this blog will help lots of people with CF. You’re an amazing girl,a fantastic artist, a brilliant writer and very funny too. I loved reading your blog Tess and I loved being your teacher too. You are an inspiration and a huge encouragement for other young people – both CF and non-CF sufferers. Miss you!